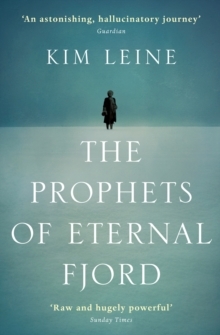 A gorgeous, strange, dark-edged novel that has garlanded critical acclaim throughout Europe and won the prestigious Nordic Council's Literature Prize. Idealistic, misguided Morten Falck is a newly ordained priest sailing to Greenland in 1787 to convert the Inuit to the Danish church. A rugged outpost battered by harsh winters, Sukkertoppen is overshadowed by the threat of dissent; natives from neighboring villages have united to reject Danish rule and establish their own settlement atop Eternal Fjord. As Falck becomes involved with those in his care-his ambitious catechist, a lonely trader's wife, and a fatalistic widow he comes to love-his faith and reputation are dangerously called into question.